Last week I went to the last event of the International Dance festival Birmingham, having been to nothing else that was going on. Wings of Desire is a dance, acrobatic and projected performance based on the film of the same name. I have seen both the original 80s Berlin-set film (which was later adapted by Hollywood into City of Angels, I film that seems mundane and ineffective compared to the artistry of the original) and it's 90s sequel Faraway So Close. Both films were good and arty, though the second was less poetic and had more of a definite plot, including Peter Falk (playing himself) providing one of the best distractions I have ever seen on screen. Anyway the free performance, which ran in Birmingham's Victoria square for 4 nights, was actually quite a reasonable adaption of the film, considering it was a different medium. The story was relocated to Birmingham and had Goldie (an artist and actor with strong links with the city) take on a similar role to the late Peter Falk. He acted as compere and provided explanation. Some of the angels were actually stood on top of buildings around the square, which was pretty impressive, especially the person on the five storey building. There were also dancers who wove their way through the crowd holding glowing spheres in their hands. These bits were very effective, as it showed the mystical side of things both at a distance and within the audience. The dance and acrobatic sections mostly took place on a large stage. This was the one place where, for me, the performance broke down, mostly because I could barely see what was going on except for on those occasions when the acrobats were standing on top of each other - which happened a fair bit. However if you're using dance and acrobatics to tell a story it helps if the audience can see most of the moves, or the shape of the dance, rather glimpses and shadows. The big screen behind the stage projected many faces, and different voices were played over the stereo system, to represent the angels' ability to see into the thoughts of the people in the city. A lot of the images were of local people and some of the situations and dialogue were tied with specific locations, which worked well. Obviously Birmingham does not have the historical significance of Berlin, but there are still a huge number of stories, and part of the beauty of both the films and this adaption are their ability to place personal, intimate stories within a busy metropolis. The biggest spectacle was the architectural projection on the town hall. It was truly amazing. The building appeared to become a weird spectral river, then seemed to crumble and fall and blow away. There were times when it looked almost organic, and when it was full of fireworks and when it seemed to dance with light and spin with colour like a building made of rubiks cubes. There were times when you thought you were looking at the actual columns then they'd move and you'd realise with delight that the illusion had tricked you. It's particularly fitting because for years the exterior of the town hall was only a drawing on gigantic sheeting that covered the building while it was being worked on, so the idea that it might be illusory and fleeting worked well. I very much enjoyed this book, and I can see why it won a BSFA award. My husband has also read it, although he didn't enjoy it as much as me. Set in near future Istanbul, it covers a week in the lives of six characters who live/work in an old dervish house on the European side of the city. In many ways the main character is Istanbul itself, various parts and periods of the city are explored in detail, at times it is almost poetical. I have never been to Istanbul and my knowledge of its history is limited to back when it was Constantinople, but the sense of the city and it's history are so strong that I felt I had some understanding of it - this is almost certainly an illusion, but creating powerful illusions is a mark of good fiction. The main characters are: a old Greek academic who is part of a shrinking community; a secluded 9 year old boy with a heart condition who fancies himself a detective; a religious art dealer from an aristocratic family and her ambitious stock-trader husband; a determined young woman from rural Turkey who wants to prove her worth to her large family by marketing her cousin's revolutionary nanotech company; a troubled man who is being cared for by his religious brother. The SF elements are mostly nanotechnology and advances in robotics. These allow for swarms of tiny robotic components that can reassemble into a variety of shapes for different uses. Nanotechnology lets people increase the performance of their brains and bodies, and one of the plotlines is about visionary technology that could see humanity altered entirely. There is also a strong vein of history in the book too, which is probably one of the reasons I enjoyed it. There is the recent (from our viewpoint, future) history of Turkey joining the EU. There are bittersweet memories of the 80s, when young love existed against political upheaval. There is the legacy of the Ottoman Empire, its decline and Turkey's liberation. 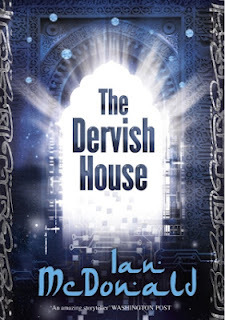 There is plenty of Islamic history and mythology as one character searches for a lost artifact and another has mystical creatures enter their life - this sense of the fantastic is probably another reason I enjoyed the book so much, I do like a bit of Science Fantasy. This is the third John Green book I've read and it's probably the most amusing. It's about a boy called Colin who has dated and been dumped by 19 girls called Katherine, at first it was a coincidence, then it became a very specific preference (apparently the way I spell the name would not be acceptable). Having been recently dumped by Katherine XIX Colin is taken on a trip by his best friend Hassan and they end up in Gutshot, Tennessee, helping with a local history project. While all this is going on child prodigy Colin (who is afraid that despite his potential hell never be classed a genius) is attempting to come up with a mathematical theorem to explain relationships and predict who will dump who and when. 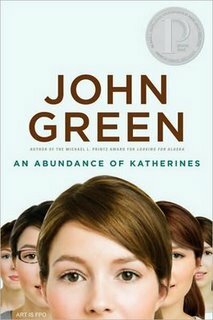 The book has many things which seem to be John Green staples: a young male protagonist who is confused about his future; a part of the USA that you don't tend to see on TV; a larger-than-life, foul-mouthed best friend; and a lot of random facts that are part of the main character's quirks. Despite having familiar elements the story was in no way predictable, I honestly wasn't sure how it would finish -especially as previous John Green books I've read have had darker themes than this one. One thing I enjoyed about the book was the footnotes (I read a lot of Pratchett as a teenager, so this is probably unsurprising, plus I can be a rather tangential person myself), which contained both facts that Colin knows and interesting narrative info. A major theme of the book was Colin realising that, despite his impressive brainpower and brilliant academic skills, most of his potential was not necessarily going to be of any help outside of education. This seems like a good message for young people (even those who aren't prodigies). I have been a very bad blogger of late, I can only apologise. I have some modest plans for this blog, it's just taking me a while to get things sorted. In the meantime here is a quick round up of stuff that I've read over the last month. The 3rd book in the Tales of Einarinn sees us back with Livak as the first person narrator. The story takes us to the Forest, the Mountains and even into the eastern land of Solura, showing the reader different peoples and their societies. We see a lot of Mountain society as a faction of Mountain folk declare war against the lowlanders. I think I prefer Livak as narrator to Ryshad - Livak feels a bit more fun to me. 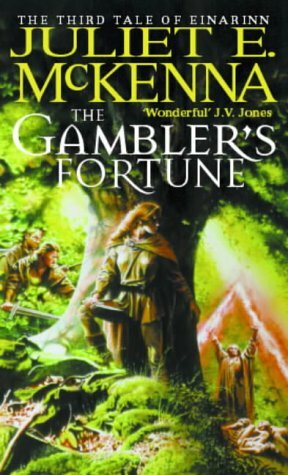 This book shows us more of the author's world building skills as we see how the different societies work within themselves and interact with others. This book has less focus on the elemental wizards and more on folklore and aetheric magic, and the hunt for answers that combine the two. This collection of short stories (which I bought a while ago and only recently finished), is about a group of fannish folk who meet in a pub (the eponymous Fountain) once a week and swap stories - several of which take on a distinctly science fictional tone. With a variety of big names contributing you can be sure that the collection is high quality writing and very entertaining. 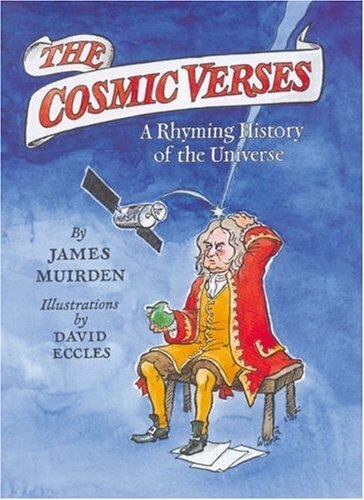 This is a book about the history of cosmology, entirely in rhyme, with amusing illustrations. It's genius! I really liked the ancient bits (shocking, I know) and was interested in medieval and early modern sections, especially about the role that Islamic cultures played in preserving wisdom. The progress of human knowledge is fascinating. The modern sections had formulae in the verse, which I found a bit confusing. Then again towards the end there was a section that described how a star goes supernova to the same meter and rhyming scheme as The Lady of Shalott, which is weirdly brilliant.